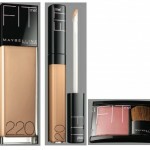 There are certain types of makeup that I refuse to comprise on quality and concealer is one of those products. MAKE UP FOR EVER is out with their new Ultra HD Concealer and I’ve been testing the range. 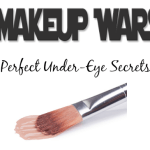 As someone with dark circles, I have a lot of experience with concealers! 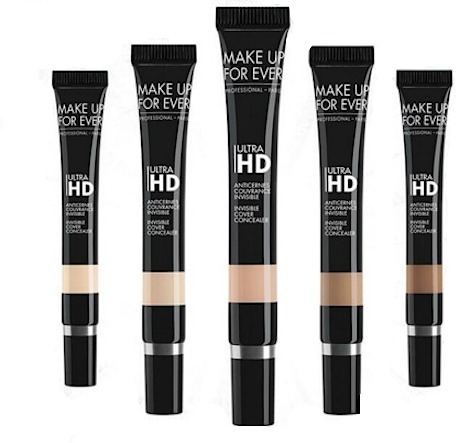 The MAKE UP FOR EVER Ultra HD Concealer formula focuses on correcting and concealing dark under eye circles, without accentuating fine lines and wrinkles. 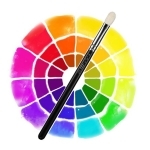 There are a total of ten shades in the range; five correcting shades shades that neutralize dark circles and “color correct” blue tones. The “correcting” concealers are the “R” shades. The other five shades are the concealing shades; evening out skin tone, camoflaging imperfections and brightening the undereye area. These shades are the “Y” shades. Since I chronically have dark circles, I tested the R22 correcting concealer, with the Y23 concealer on top. I was surprised to see the tip wasn’t like any concealer I’ve used before; it’s shaped almost like a pen with a nozzle. I placed three smallish dots under my eyes and blend the R22 shade with a concealer brush (you can also use your fingers), let it set for a few seconds, then apply the Y23 shade over. Although I always use a primer for my foundation, I don’t take it up to my under eye area because I don’t want my concealer to “slide off”. 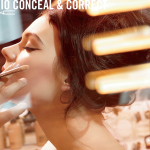 I’m used to the “correct and conceal” method, having been introduced to applying my concealers that way, with both the Bobbi Brown and Laura Mercier lines. I really like the feel of the Ultra HD Concealer; it feels like a second skin. Once applied, my under eye area appears brightened and luminous and it hides the dark circles. The full-coverage formula uses light diffusing pigments, as well as complex of green algae and amino acids to counteract dark circles. I didn’t experience any creasing with this concealer. Overall, I’ve been pleased with the performance of MAKE UP FOR EVER’s Ultra HD Concealer. It feels good on the skin, it does a good job of correcting and concealing my dark circles, lasts through the day and doesn’t crease or slide. 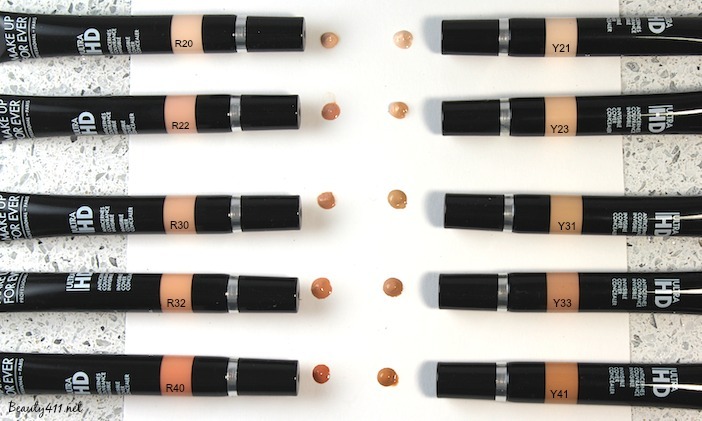 For those who just need a little under eye brightening, the “Y” range would work well on it’s own. The concealers were designed to fit into a “range” of the MUFE foundation shades, so you should be able to find your perfect match, but for those who may not use one of the foundations, the shade range might be limiting. 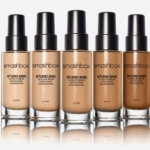 MAKE UP FOR EVER Ultra HD Concealers are available now at Sephora, MAKE UP FOR EVER Boutiques and MAKEUPFOREVER.com. 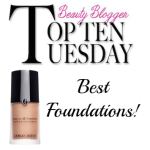 If you’re not happy with your current concealer, give this one a try!